Last Thursday, my husband spotted an article in our local newspaper about a coding camp. One week later, I was sitting in the office of the director of Code College on the campus of Walter State Community College (Sevierville campus). My children were present and they duly logged into their Scratch accounts and showed the professor their work. 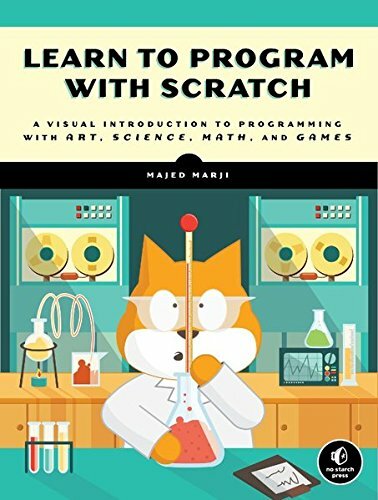 We also brought our four books on coding which we have used a bit here and there. Which would you rather have: a son who plays video games or a son who makes video games? The latter, of course. I agree. The same goes for daughters. So we started our son on coding. 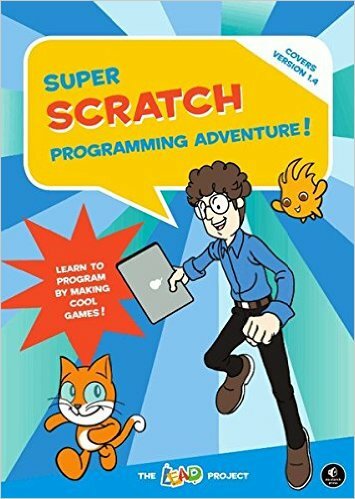 A boy who reads well, our son has no problem walking himself through a book like Super Scratch Programming Adventure. He was really excited about all the things he could do with Scratchy, the cat on the screen.